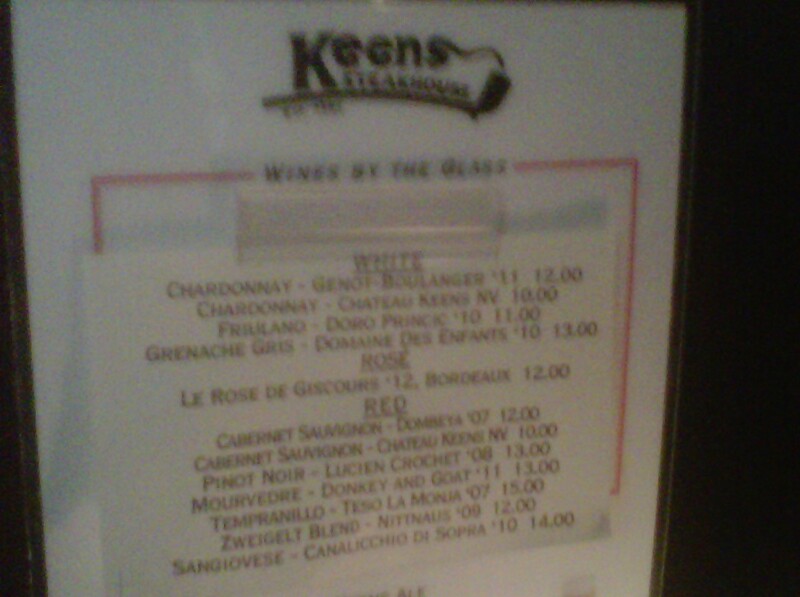 Kudos to Keens Steakhouse for offering a 2011 Château Génot-Boulanger white by the glass. I tried it the other night before our wonderful (as always) dinner there. Problem is, Keens’ by-the-glass menu lists it simply as “Génot-Boulanger ‘11.” I did a Bing search the next morning, but the possibilities only expanded. This Burgundy producer, based in Meursault, makes red and white wines from 32 appellations in the Côte de Nuits, Côte de Beaune and Côte Chalonnaise. Its website does not reveal which of these were produced in 2011 and have been released. Indeed, a lovely, medium-bodied Burgundy. Sadly, though, it seems to be difficult to locate for retail purchase. This entry was posted in Tasting and tagged Burgundy wine, Côte Chalonnaise, Côte de Beaune, Côte de Nuits, Génot-Boulanger, Keens. Bookmark the permalink.